Jypyä Pop (Turku, Finland) on 12 September 2017 in Sport & Recreation and Portfolio. Ils se régalent avec le vent. Yes. Getting out on a beautiful fall day, challenging the wind and waves. Great. Nice shot. 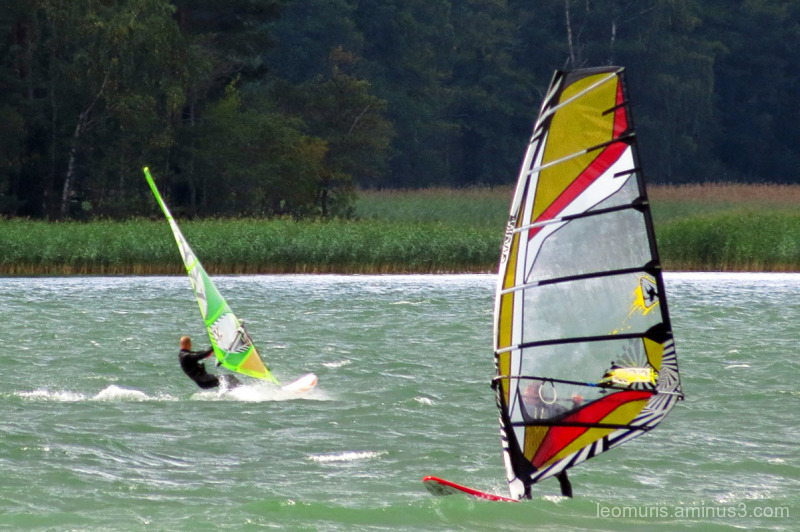 Such a refreshing scene with these windsurfers!! Looks like a lot of fun. 5 stars from me. This is delightful!!! Happy and probably hard to stay balanced. A cool ST. It looks so cool and refreshing. I love the bright colors of the sails. I know that I would fall into the water! @Elaine Hancock: I think it's a fun hobby for them. Cold does not hurt, because they wear a pair of jeans. Sometimes I would have liked to try, but now age and poor condition prevent it. They love strong wind, love the colour of the water. Good colourful image, a good way to practise on sporting events.